Fall in love with your commute! Join us in our third annual Commuter Challenge Week. Try an old favorite or a new mode of transportation other than driving alone during the week of February 11 – 15. Participate for a trip, a day, or the entire week, and share your experience(s) with us on social media using the hashtag #CommuterChallenge19. We can’t wait to see your photos! View the Commuter Challenge Week 2019 poster. 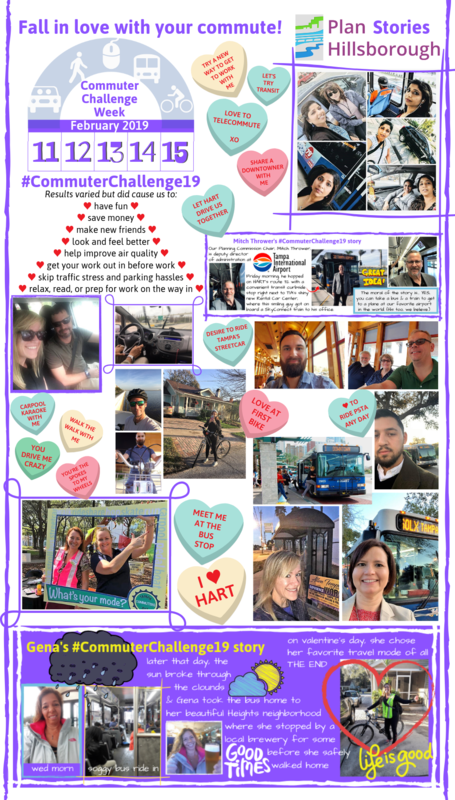 #CommuterChallenge19 Try it alone, or challenge your co-workers to join in. We must alert you that Commuter Challenge results may cause you to: ♥ have fun ♥ save money ♥ make new friends ♥ look and feel better ♥ help improve air quality ♥ get your work out in before work ♥ set an example for your kids ♥ skip traffic stress and parking hassles ♥ relax, read, or prep for work on the way in ♥ Anything’s possible when you’re not driving alone! 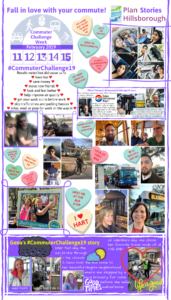 Be sure to share your travel with us on social with #CommuterChallenge19! Hundreds of social media posts using #CommuterChallenge19 have already garnered more than one million impressions on twitter alone! 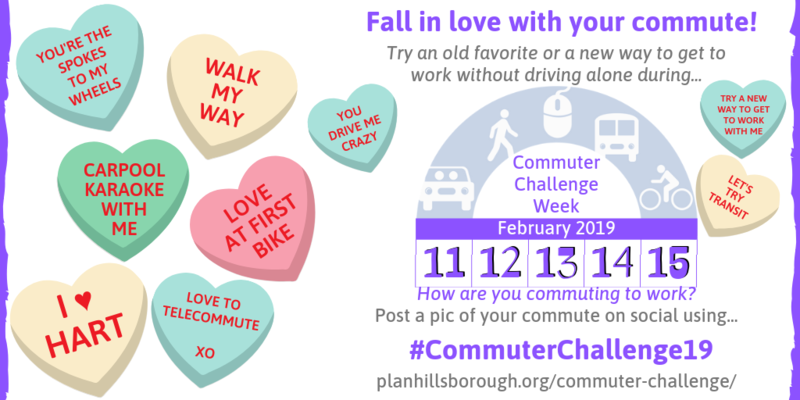 Plan Hillsborough’s Commuter Challenge Week was initially inspired by a similar program at Tindale Oliver. 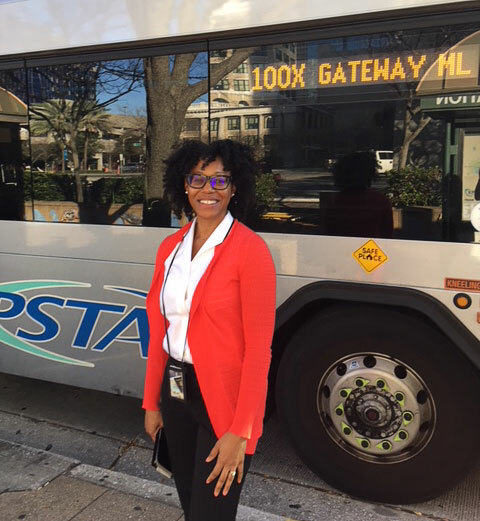 Plan Hillsborough participated in an inaugural Commuter Challenge in 2017, holding a friendly competition by leaving their cars at home to try other modes of transportation to and from work and meetings.  By the end of the week, a total of 223 trips were recorded in which staff walked, used transit, biked, carpooled, or used some other mode of transportation other than driving alone in a car. Through the Challenge, staff had an opportunity to try different transportation options available in the community, which helped inform their planning work and understanding of transportation choices.  In 2018, we partnered with the Tampa Downtown Partnership and invited others to join us. 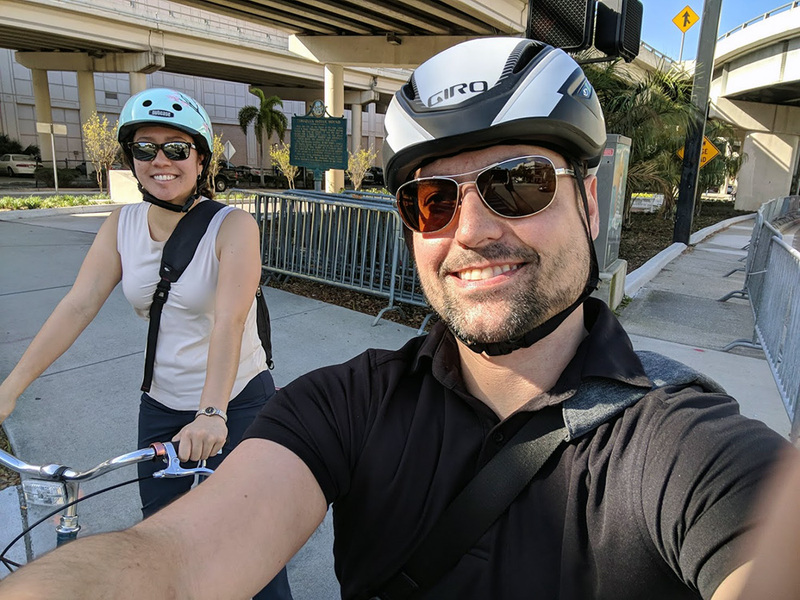 In addition to the Challenge being a great opportunity to “literally walk the walk” when it comes to planning and transportation options, participants also gained an opportunity to help air quality, avoid traffic, burn calories and save money. Look back at some of 2018’s best social media posts using hashtag… #CommuterChallenge18. Riding PSTA allows me ample time to review work ahead of time and set my work day before it begins. My commute interestingly enough is about the same amount of time that it would take me to travel by car. Not only am I saving time, because I don’t have to deal with the hassle of finding parking once I’m in downtown, but the money I save is significant. My bus pass is supplied to me at a discounted rate through the County’s subsidy program, which also saves me a great deal of money. My bus pass is a dual pass that allows me to travel in Pinellas County as well as Hillsborough County. So I am able to use HART to travel to church in Tampa during the week, which is really convenient and easy as well. So far for the commuter challenge, I have focused on carpooling. I have a lot of meetings out of the office making it hard to ditch my car completely. So I have made sure to carpool to those meetings or to and from work when I am able to. 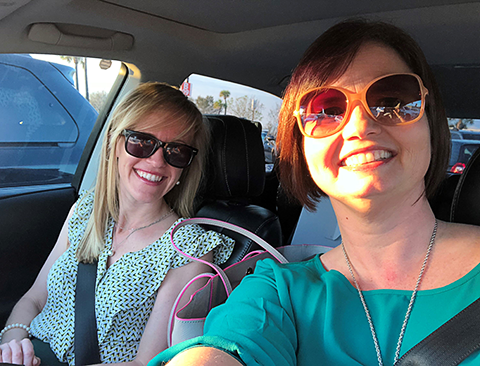 Carpooling has been surprisingly productive; it can be like extra meeting time with a co-worker. We covered a lot of work topics in a 15-20 minute ride. It’s also been a lot of fun getting to know people in a different way outside of our normal office environment. Plus it’s a fun challenge finding good angles for carpool selfies. For the commuter challenge I wanted to try and take a different mode of transport every day. I decided to start with the bus. 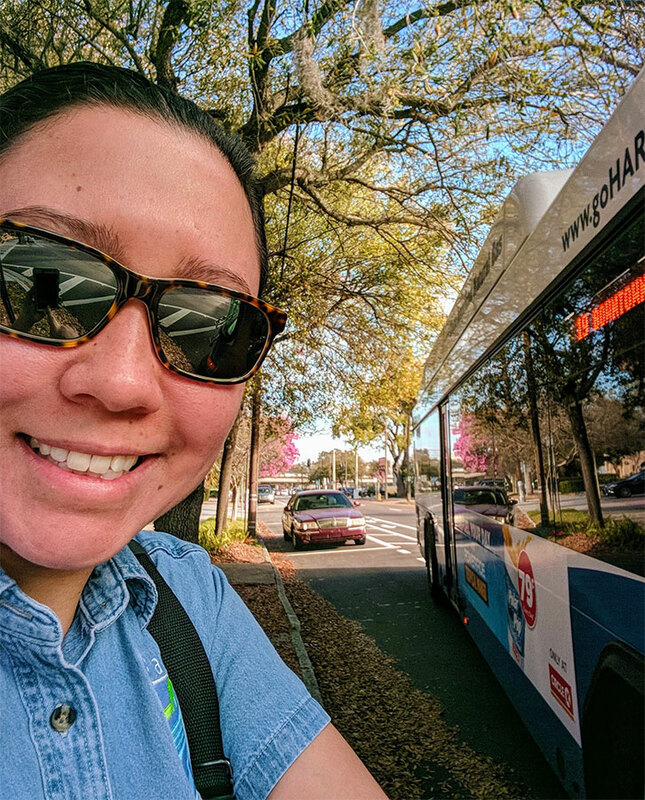 As a car-free resident of Tampa I already make use of many forms of transportation, but my go-to option is the bus. Since the county subsidizes our bus passes I use it to commute to work, to get to doctor’s appointments or even to get to piano lessons. I’m lucky enough to have a bus stop across the street from my apartment and my morning commute only takes 10 minutes. The best part of my morning commute is getting to take in the view of the Bay and the river on the way to work. It helps get me in a Zen state to take on the day. On the last day of the commuter challenge I decided to ride my bike in to the office. It gave me the chance to take the Selmon Greenway and check out the new landscaping and pocket parks. A breath of fresh air!